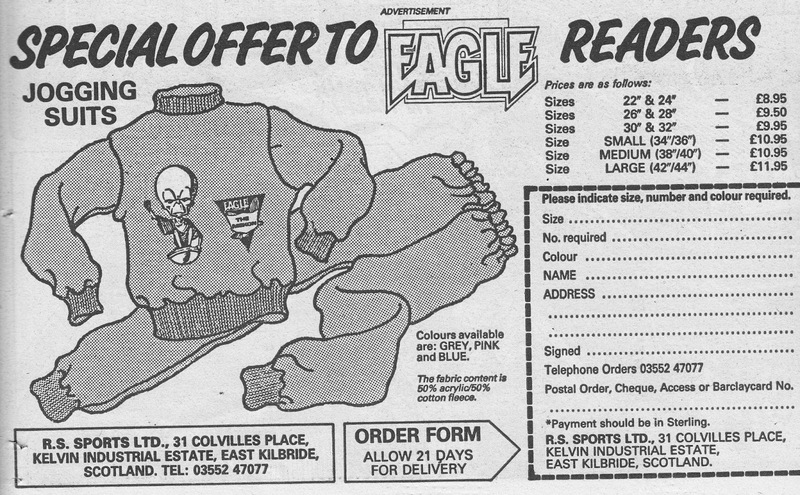 Here's a chance to show your true colours (fleshy-but-healthy pink or Venusian green) whilst engaging in moderate physical exercise... or bumming around the house counting down the minutes until LOOSE WOMEN starts: DAN DARE or MEKON JOGGING SUITS, courtesy of the 1986 EAGLE. I can say with 100% confidence that I have NEVER spotted anyone attired in these trackies-for-geeks but just imagine the impression you would create hanging around outside Aldi in one of these nifty numbers. 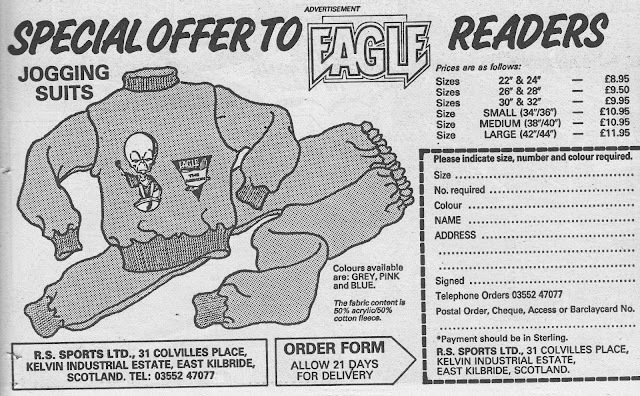 Considering the comic cost 26p at the time, they weren't cheap either! 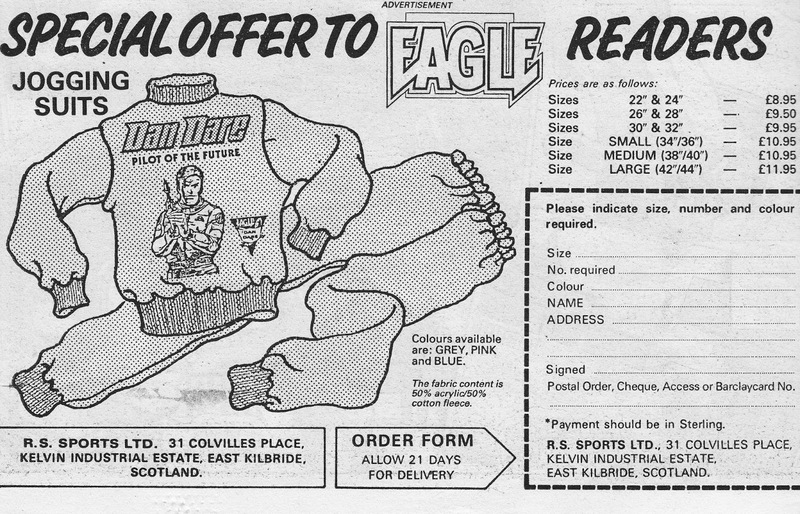 I'd love to see a photo of a whole family attired in a set of these. That would be amazing!